The canoe and it’s passengers find a safe harbor and rest after a long journey on the BWCA waterways. Greetings TBEX attendees! We can’t wait to welcome you to Minnesota for this year’s conference and show you all the attractions, destinations and activities that can be found #OnlyinMN. Minnesota’s appeal as a destination lies in both its abundant natural scenery and in its vibrant cities. Dubbed the “Land of 10,000 Lakes,” Minnesota offers much more to explore, as well. The Minneapolis-St. Paul area, also known as the Twin Cities, is nationally recognized for its high quality of life, with amenities that make it a great travel destination. The Cities have garnered attention for our dynamic music scene, creative chefs, bike trails, exciting theaters and excellent art museums. Families are drawn to the Twin Cities for the kid-friendly museums, zoos and amusement parks. The hometown sports teams have a large fan base. The area is also noteworthy for its many lakes, parks and greenways, offering urban and nature experiences all in one. Shopping is also a highlight; Mall of America in Bloomington draws visitors from around the world, not only to shop but for entertainment including an amusement park, aquarium, dining and nightlife. Beyond the Twin Cities, Minnesota boasts a bounty of natural treasures. 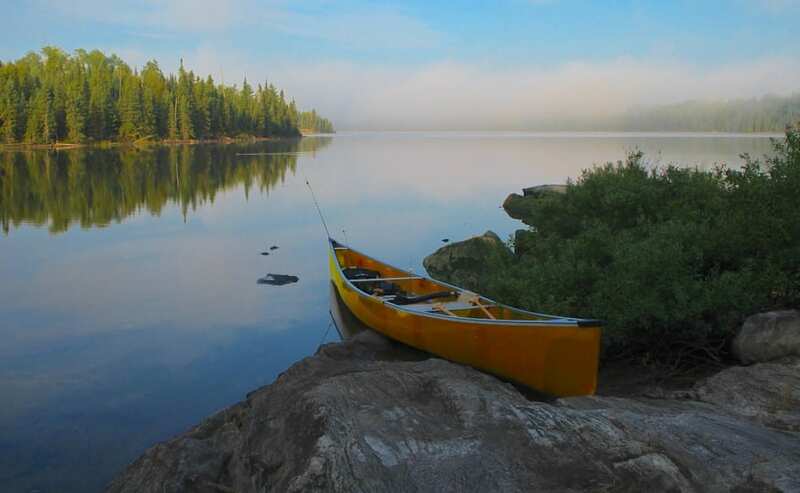 Miles of lakes and woods draw outdoor enthusiasts to Voyageurs National Park and the Boundary Waters Canoe Area, both along the state’s northern border. The North Shore of Lake Superior, an All-American Road, is a scenic drive along the world’s largest freshwater lake. The iconic Mississippi River begins as a small stream at Itasca State Park in northwest Minnesota, winds its way across the state and through the Twin Cities, and widens as it flows below the beautiful bluffs of southeastern Minnesota. Western parts of the state preserve areas of native prairie. These scenic resources make Minnesota a natural playground. It’s a destination for outdoor adventures such as kayaking, canoeing, hiking and mountain biking. Minnesota boasts perhaps the country’s largest collection of paved, scenic bike trails (4,000+ miles!). There’s also rock climbing, scuba diving, paddleboarding and zip lines. Fishing and hunting are longstanding traditions here, and the state has an excellent array of quality golf courses. Hundreds of lakeside resorts, from classic cabins to full-service luxury, make a great base for a fun vacation. Small towns and bustling cities have their own year-round lures, from summer theaters to music festivals. Historic sites tell tales from the past, about Minnesota’s rich Indian and pioneer heritage, rugged voyageur fur traders, forestry and milling industries, and famous Minnesotans like Charles Lindbergh and Judy Garland. Local flavors can be sampled at an array of restaurants featuring creative Midwestern cuisine and at craft breweries and taprooms, of which there are now more than 100 statewide. Couples enjoy romantic escapes at cozy bed-and-breakfasts, and shops and spas are great destinations for girlfriend getaways. Travel information and trip ideas are available at exploreminnesota.com and on social media. Search the hashtag #OnlyinMN for inspiration, and be sure to use it while you’re here to join the movement. Check out the pre- and post-tours to experience many of the places and things mentioned here. See you in May!